Toward the end of the first Star Wars trilogy, George Lucas developed a penchant for characters that were more like Muppets than fully fleshed-out characters (i.e., Jabba, Salacious Crumb, the Ewoks). So when it was time to bring back the sci-fi universe, he did himself one better, and developed a penchant for jaw-dropping ethnic stereotypes. 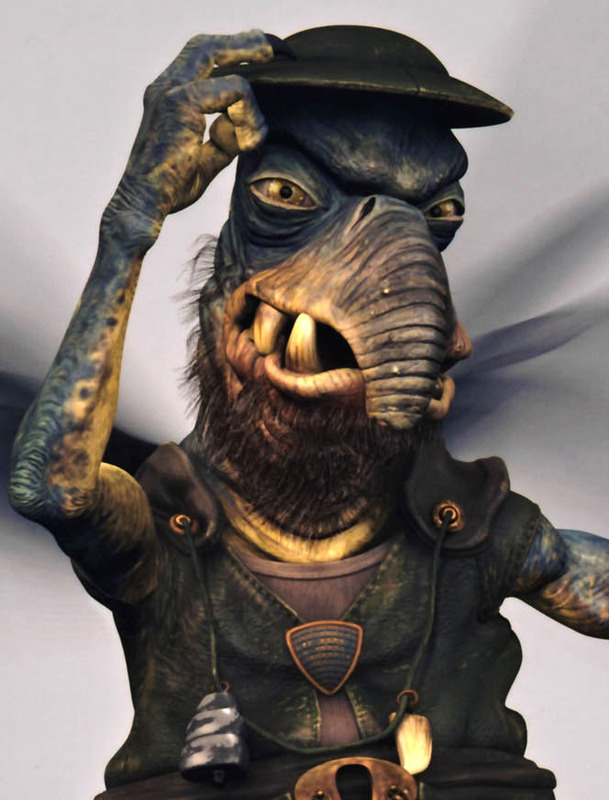 From the bumbling carefree Jamaican minstrel (Jar Jar Binks, above) to the hook-nosed shyster merchant (Watto), he outdid any of his Jedi fuckery by a long shot. May the force (of racism) be with you.